Consistent with all their products CBD Living Bath Bombs are made from the finest of ingredients to create the most relaxing and healthful bathing experience I’ve ever experienced. 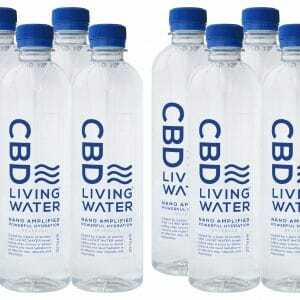 CBD Living has brought 3 of the most popular and healthy substances together in the form of a powerful “CBD Bath Bombs”. Just fill the tub with warm/hot water at your prefered temperature... drop in the CBD Bath Bomb of your favorite fragrance... and watch it effervess while enjoying its beautiful color and aroma as it increases by the second! Each CBD Living Bath Bomb contains a whopping 60 mg of nano CBD! But Friends… don’t be mistaken, this is not your average CBD Bath Bomb by a LONGSHOT! You have to understand why this much nano CBD soaking into all the epidermal and subdermal tissues and beyond to your entire system. All you have to do is try it once, and the aromatic essential oil sensation (your choice of aromas here at Cannabis Animus) is just a bonus. Discover why nanoscience has lead the direction of CBD therapy to new heights in my article on“CBD and Nanotechnology“. The CBD will be drawn into all the cells of your skin providing pain relief as well as unmistakably revitalized and relaxed feeling to your entire body while your favorite aroma therapy is filling the air and triggering even more hormone stimulation which has been proven to further enhance relaxation. Consider surrounding your entire body with warm water and CBD penetrating the entire surface of your body while your mind is relaxed by therapeutic aromatherapy at the same time. Let me tell you that the effect is so much more! I have experienced hot mineral springs from almost every continent in my travels, and I can tell you that you simply have to experience it at Home to believe it. There’s simply nothing on Earth like it.